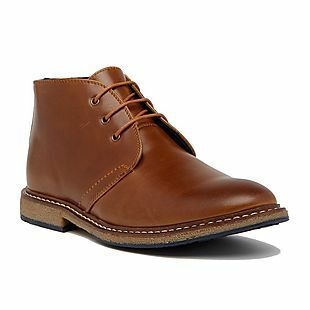 Shop NordstromRack.com and save up to 80% on men's shoes and boots. Shipping is free when you spend $100. Otherwise, it adds $7.95. The pictured Hawke & Co. Kalahari Chukka Boots drop from $110 to $29.97, matching the lowest price we've seen all year. These faux-leather comfort boots are available in four colors and feature cushioned insoles. Choose from four colors. Also check out these Creative Recreation Adonis Hi-Top Sneakers, which drop from $150 to $29.97, the lowest price we found by $13. Sales tax is charged in most states. 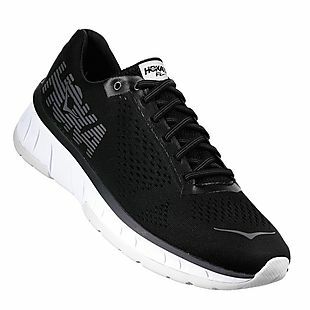 These men's Hoka One One Vanu Running Sneakers drop from $110 to $64.97 at NordstomRack.com. We couldn't find them anywhere else for less, and this is the lowest price we've seen this season. They feature removable foam insoles and grip soles. Choose from six colors. 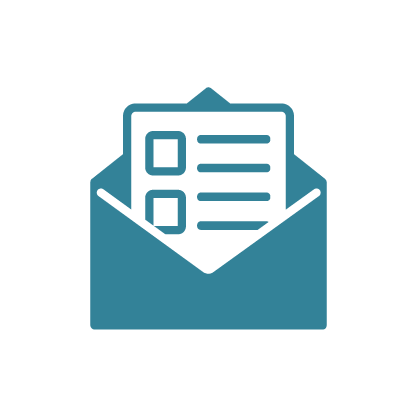 Shipping is free when you spend $100 or more; otherwise, it adds $7.95. Sales tax is charged in most states. 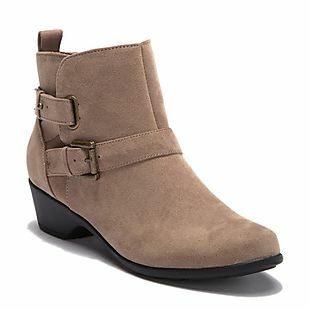 These women's Italian Shoemakers Hills Buckle Booties drop from $119 to $29.98 at NordstromRack.com. This is the lowest price we found by $11. They feature cushioned insoles, 1.5" heels, and grip soles. Choose from two colors. 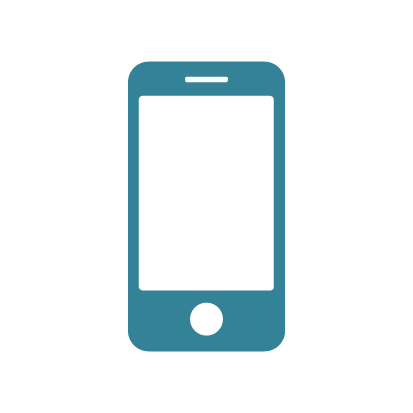 Shipping is free when you spend $100 or more; otherwise, it adds $7.95. Sales tax is charged in most states. 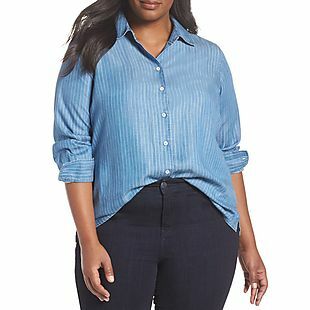 Shop NordstromRack.com and save up to 80% on women's plus-size apparel. Shipping is free when you spend $100. Otherwise, it adds $7.95. The pictured Foxcroft Addison Striped Shirt drops from $108 to $22.49. All other retailers are charging $32-$40. Also be sure to check out these Seven7 Released Hem Skinny Jeans, which drop from $89 to $17.80, a savings of 80% and the lowest price we've seen all season. Sales tax is charged in most states. 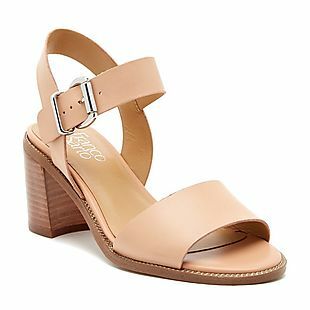 Shop NordstromRack.com and save up to 75% or more on women's sandals. Select sandals are 30-40% off, and select styles are marked down by over 75%. The pictured Franco Sarto Harlie Leather Sandals drop from $99 to $49.97, the lowest price we found by $24. Also, be sure to check out these Rachel Zoe Ema Metallic Leather Stiletto Sandals, which drop from $248 to $48.99 in pink. That's the lowest price we found by almost $100! (Note that they drop to $93.78 in gold.) Shipping is free when you spend $100 or more; otherwise, it adds $7.95. Sales tax is charged in most states. 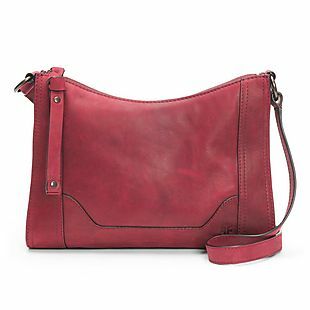 Shop NordstromRack.com and save 50-75% on name-brand and designer handbags and wallets. Shipping is free when you spend $100 or more. Otherwise, it adds $7.95. The pictured Frye Melissa Crossbody drops from $198 to $74.98, the lowest price we found by $25. It features a leather exterior and measures 11.25"W x 8"H x 2"D. Also be sure to check out this Sam Edelman Doreen Backpack, which drops from $128 to $32, a savings of 75% and the lowest price we found by $5. Sales tax is charged in most states. 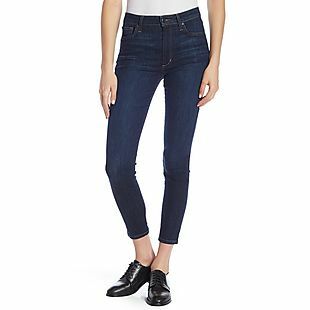 These women's Joe's Jeans Charlie High-Waisted Skinny Jeans drop from $169 to $55.98 at NordstromRack.com. This is the lowest price we found in this wash by $18. Shipping is free when you spend $100 or more. Otherwise, it adds $7.95. Sales tax is charged in most states. 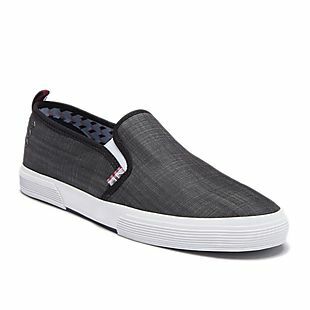 Shop NordstromRack.com and save up to 70% or more on men's Ben Sherman footwear. Shipping is free when you spend $100 or more; otherwise, it adds $7.95. Choose from dozens of styles, including the pictured Bristol Slip-On Sneakers, which drop from $85 to $24.99. This is the lowest price we found by $10 shipped. These sneakers feature cushioned footbeds and grip soles. Sales tax is charged in most states.